Heads up! The school year has begun and HOCO 2018 is right around the corner! Whether it’s your first homecoming or your last, the dance is definitely one of the highlights of going back to school. “Putt” a smile on your favorite golfer’s face and give them this cute gift box as part of your homecoming proposal (so you can stop worrying about your date and start thinking about your outfit)! JFF Rubber Stamps Golf collage image (will be in the store soon!) and Club Scrap card stock from the August 2018 Ivy League collection. It takes a lot of balls to ask someone out on a date. Why not gift them one and ask them to “par-tee” with you at HOCO?! I found this cute patisserie-box template, printed on 8.5×11 card stock, trimmed and scored. I stamped the new Golf stamp collage image from JFF Stamps on Club Scrap card stock, colored with Prismacolor pencils and trimmed with detail scissors. I added some gold Stickles for sparkle and adhered the image to an oval die cut. I attached to the back of my box with some matching card stock. I made some parallel slits in the box lid with a craft knife and slid the golf tee underneath the tab. It’s a gimme! The JFF Stamps monthly challenge is going on now and the theme is STRIPES! 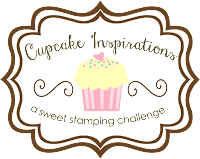 Link up HERE for a chance to win a gift certificate to shop at JFF Stamps! I’ll look for you in the gallery! Next Post If it’s too Loud, You’re too Old! What a creative box, and fun colors to use with those stamps! What a great box, Wendy, such a cute idea! A pity i don’t know any golfers. I thought it would be cute to put a mini cupcake or muffin inside and add a candle in place of the golf tee for variation!